As we continue to grow our platform, it’s critical that we recruit talented people to help us sustain our success. Dusten and Jim are just that. 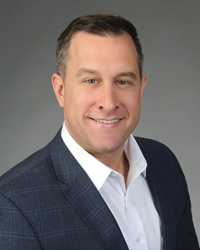 Stonemont Financial Group, an Atlanta-based real estate investment firm, recently added Dusten Estes, senior vice president – special projects and operating companies, and Jim Sencen, corporate controller, to its growing firm. Having owned and operated multiple businesses in his career, Estes brings a wealth of operating experience to Stonemont. He achieved significant success in the restaurant industry, where he owned and operated restaurants across the country, including two successful franchise ventures that he led to substantial growth and eventual lucrative sales. Most recently, Estes launched his own unique franchise concept in the family entertainment space, a business that continues today. He also adds depth to Stonemont’s construction and development teams, as Estes spent 17 years in single family development, during which he supervised and completed construction of over 300 homes. After serving a 2 year mission trip to Cambodia, Estes graduated from Southern Virginia University with a Bachelor of Science in business administration, where he was a two-sport varsity athlete. Sencen, a CPA, has served in various accounting roles throughout his career. Most recently, he was the assistant treasurer at Fosterlane Management Company, a wholly-owned entity of the Kuwait Investment Authority, where he oversaw the accounting for an office building portfolio worth of over $10B. Sencen was responsible for all aspects of accounting and financial reporting for the company for 23 years. Prior to that, he was an auditor with Deloitte and Touche. Sencen graduated with a Bachelor of Science in Business Administration from the University of Florida and has also received a Masters of Accounting degree from Florida Atlantic University. Stonemont Financial Group is a leading, diversified investment management firm specializing in single tenant, net lease investments, student-housing, and select private equity investments in middle market operating companies. Additionally, Stonemont may act as a capital partner on projects up to $500 million in primary, secondary and tertiary markets across the United States and Canada. Stonemont Financial Group’s founders and principals have structured and financed more than $18 billion in transactions over the past two decades. For more information, please visit http://www.stonemontfinancial.com.